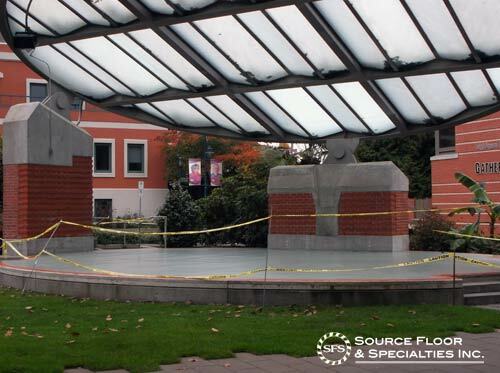 Leigh Square - City of Port Coquitlam - Commercial Flooring & Mats Vancouver | Source Floor & Specialties Inc. 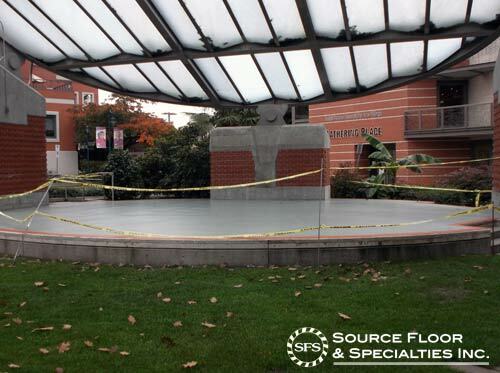 The City of Port Coquitlam called us when the Leigh Square Community Arts Village needed a custom flooring solution for their outdoor stage, and we were happy to help! We removed the existing old flooring and skim coated the entire stage to fill nail holes, spalls, and other flaws. 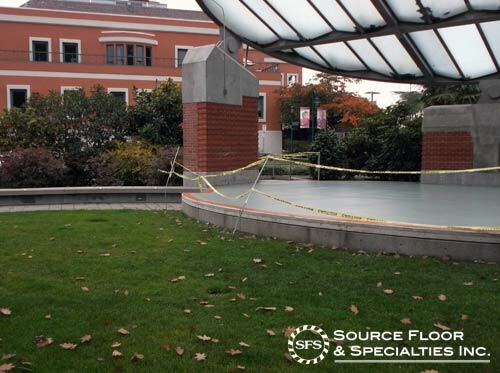 On top of this now-perfect smooth substrate, we installed Nora Rubber’s Noraplan Sentica 2’x 2′ rubber tiles, and hand-cut and installed a custom border around the perimeter of the stage.